A bag that makes your life easier and looks smart. 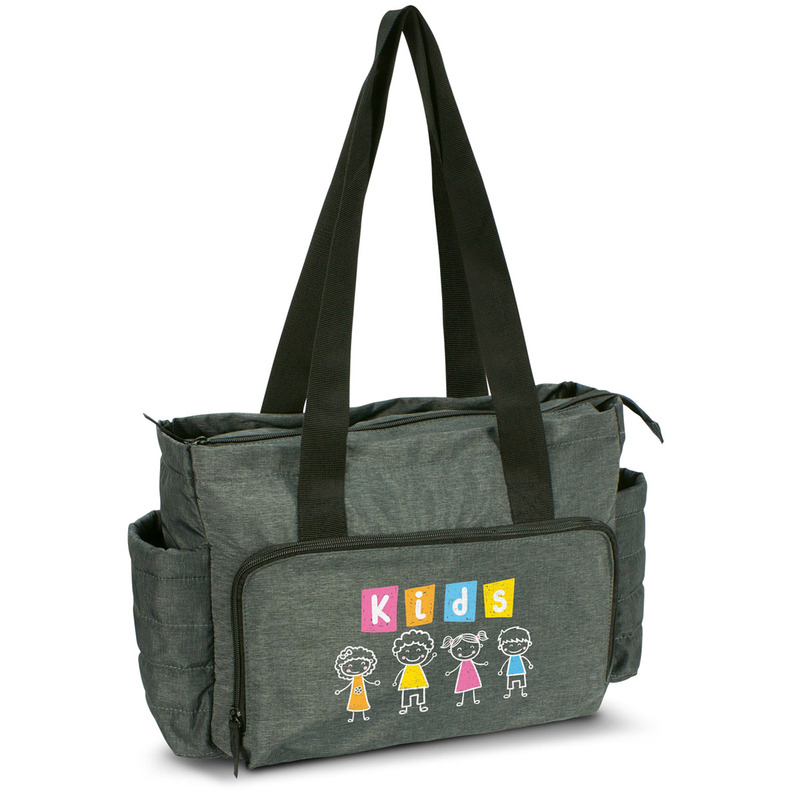 These branded baby bags are a must have for parents. They're made from 190T patterned dobby polyester with a pongee lining and have a heavily padded main compartment with a zippered closure which has one large padded inner pocket and two smaller unpadded pockets. The bag also features an extra large external pocket with a Velcro closure on one side and large zippered external pocket with two inner pockets on the other. It has a removable foam filled changing bad with a waterproof PEVA surface that is easily wiped clean or washed. 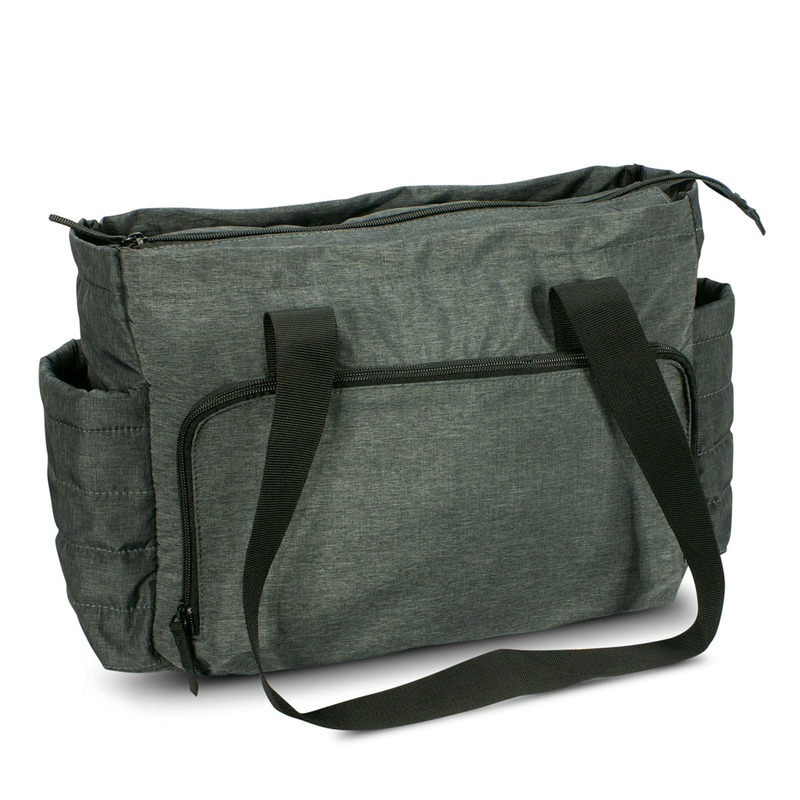 Other features include two padded end pockets for bottles and long woven carry handles for transport. Dimensions H 280mm x W 400mm x Gusset 130mm (excludes handles) Handle Length: 800mm.